A funny way to measure your sphere of influence. Or just to know where your clicks can reach, passing from hand to hand. 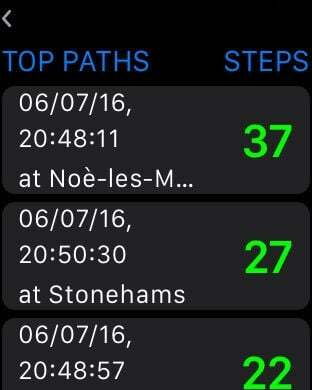 Also available on the Apple Watch for a quick check out of your progress. Open the App and ask a nearby friend to do the same on his iPhone. If your friend doesn’t have the App yet, use your influence: tell him or her to install it (it can be dowloaded for free). Once the App is open on both devices, a connection will be established automatically (via Bluetooth or local WiFi). As soon as you see the name of the other device on the upper left of your screen, and the "drag up to click" hint on the middle of it, you are ready to go. Click with your friend by dragging the silver shape up on your screen. Before dragging, you can add a short message to go with your Click (write your memo in the text field on the silver shape). Drag the silver shape until you you see it joining the golden shape above (you will hear a click). Your friend will also see the shapes joining (and hear them clicking) on his iPhone: just wait for him or her to accept your Click. When your Click is accepted, use your influence again. Tell your friend to use Sphere of Influence with somebody else: your Click will go along.People clicking with their friends will also transfer any Click that they received before. From person to person, from place to place, your Click (and your memo) may get very far away. You also have the option to just transfer Clicks you have received without starting your own new path (just double tap on the silver shape to flip it: when flipped this way, it will only transfer received clicks; flip it again to turn to normal mode). You can check anytime where all your Clicks arrived, see the paths they took, follow them from place to place. By rotating your device landscape, you will see all paths you have started with your Clicks, and all subsequent Clicks pinned on the map. You can select a path and move along it to see all the places where your Click has been. Following any path up to 1.000 Km from it's origin is free. With the "Unlimited Mileage" option, you can follow them to the end of the Earth! 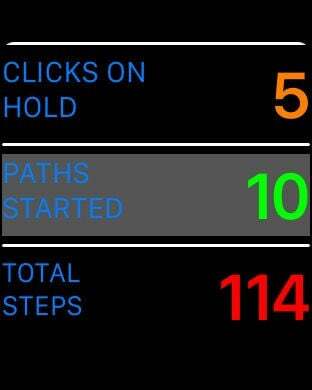 Also use your Apple Watch to quickly check out your progress: see the clicks you are still holding on your device, the number of paths you have started, the total number of steps taken and your top twelve longest paths.